Few diets are buzzier than the ketogenic diet. While once popular primarily in medical settings to help control seizures in children, it is now wildly mainstream. One quick internet search will convince you it’s a fix for virtually any ailment out there. 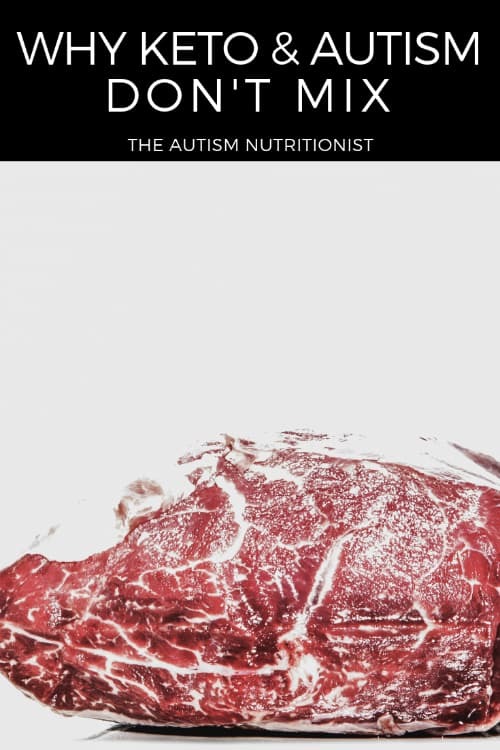 Which is probably why many of the families I work with are wondering: can the ketogenic diet help autism? The ketogenic diet - often referred to as keto - is a very high fat, low carbohydrate eating plan that forces the body to use fat instead of carbs as fuel. Ketosis is the state when fat is used for fuel, which is where the diet gets its name. For kids, achieving ketosis usually means eating less than 15 grams of carbohydrates per day, which is about one slice of bread and less than one medium banana. A few studies have found that following the ketogenic diet improved ASD symptoms, but most of these studies weren’t great. They either didn’t include a lot of children, didn’t last for very long, didn’t compare how symptoms responded to different diets, or didn’t consider whether study subjects were already following a different special diet. This makes it hard to know how impactful the diet really was. When looking at scientific studies and nutrition, you always want to ask if one diet better than another. To that end, I did find one well-conducted study that looked at how following either a modified keto diet, the gluten-free casein-free (GFCF) diet, and a standard nutritious diet affected ASD symptoms in children ages 3-8. The researchers found that both the keto diet and GFCF diet were associated with improvements in autism symptoms compared to the standard balanced diet. Overall, the ketogenic diet showed a larger improvement in language, communication, cognition, and social skills and autism severity as measured by the Assessed Childhood Autism Rating Scale and Autism Treatment Evaluation Test. 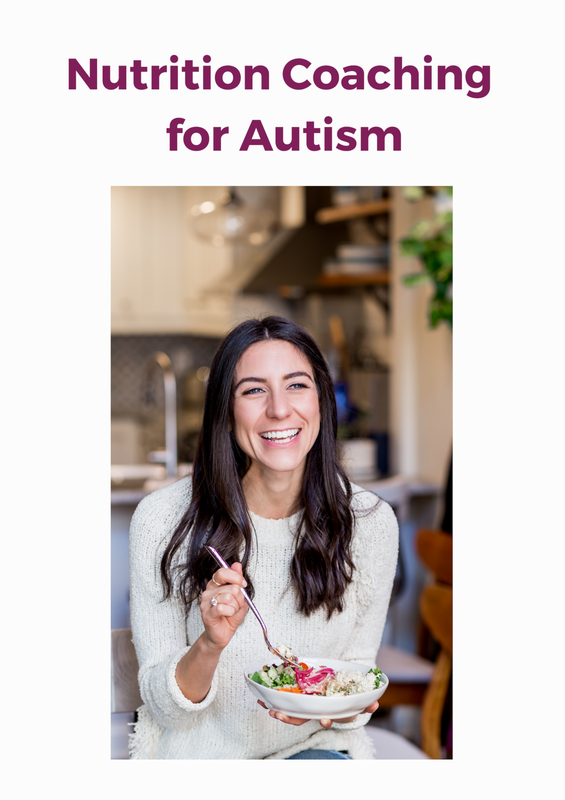 What’s better for autism - keto diet or GFCF? The big takeaway is that both the keto and GFCF diets were helpful for autism. If you’re considering one of these diets, the smarter question is to consider which one you can actually implement and maintain. A nice thing about the GFCF diet is that it can be started gradually by removing just one of the food groups at a time. The ketogenic diet is broken as soon as the body leaves ketosis. They’re not simple diets to follow! To help with compliance, caregivers assigned to the ketogenic and GFCF groups in the diet comparison study received instruction, individualized meal plans, ongoing support, and even specialty foods such as ketogenic cakes and GFCF products. Despite all of that support, a third of the children assigned to the keto group left the study because the diet was too difficult to follow (remember that the subjects were following just a modified ketogenic diet that allowed more carbohydrate than a strict keto diet). The balanced diet and GFCF diet groups did not have any drop outs. So keto is best. Is it time to start my child on a ketogenic diet? Both the ketogenic and GFCF diets are very restrictive. Restricting food groups can challenge picky eaters and those with sensory processing disorders that impact eating habits. Remember that the best diet for your child is the one that you can maintain and that she will eat. We don’t know why the ketogenic diet is effective. Is it the state of being in ketosis? Or is it more simple than that, like the reduced intake intake of carbs or sugar? All of the families following a specialized diet received personalized training and resources like food, meal plans, and counseling from a registered dietitian to support their success. Consider seeking help when you implement a special diet to ensure your success. Remember that results from diet changes can take time. Be patient when implementing a new diet. The comparison study examined results after 6 months. The ketogenic diet was associated with more drastic improvements in ASD symptoms, however, the GFCF diet also led to improved outcomes and the diet is much easier to maintain. The improvements associated with the GFCF diet may be enough for your child. If you think your child might benefit from a special diet, book a free consultation call with me here.